Every year, we work closely with industry leaders to bring to you the most essential topics in Digital Marketing. By popular demand, we are hosting a mega encore compilation on all our summits for the past 3 years for the first time ever! We are giving you 12 hours play-on-demand access on our summit days to our archive of best-curated contents from 2018 (Day 1), 2017 (Day 2) and 2016 (Day 3). Join us now for 3 intense days of fruitful learning and bring your digital marketing game to the next level! 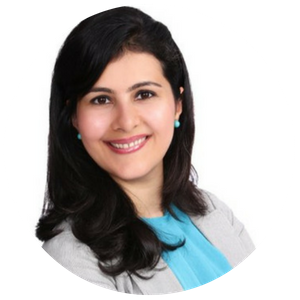 Mantazh is a passionate marketing and business development professional with more than 12 years of experience in Asia & USA in social media, digital marketing, business strategy and strategic partnerships. 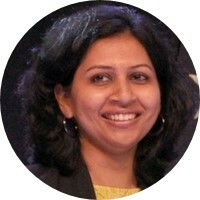 She currently leads Digital Channel Marketing for Asia in Microsoft (Consumer Devices & Sales) where she manages a territory of more than 11 countries focused on changing the digital retail landscape for Microsoft’s partners. 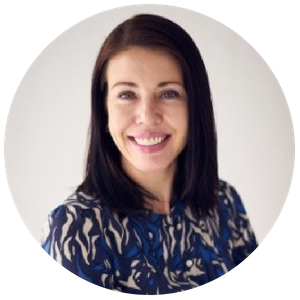 With her strong focus on retail digital transformation, she can often be seen speaking at industry events and training retailers on Ecommerce and Omnichannel strategies. 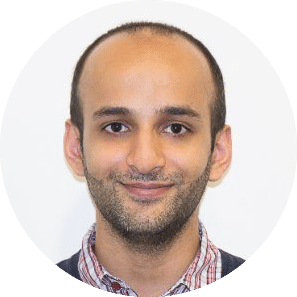 Mantazh has an MBA from Harvard Business School, an MS from National University of Singapore and is currently based out of Singapore. 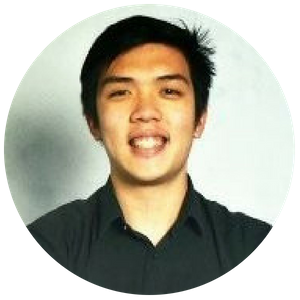 Edric is a technopreneur who is passionate about bringing innovative ideas to the world. He excels at marrying technology and people skills to create impact. 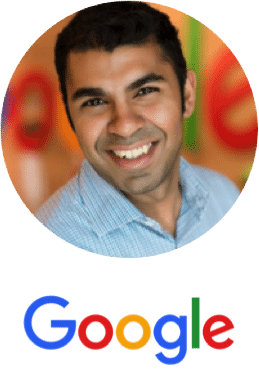 As an Apps Growth Manager in Google, he works with fast growing apps companies to plan and execute marketing strategies from UX, measurement, to leveraging Google's full marketing solution suit to unlock their next growth potential. 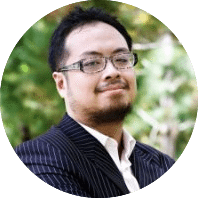 Prior to Google, Edric was leading SMB marketing for Twitter APAC and has worked for multiple tech startups including a few that he co-founded. Outside of developing business, Edric is busy developing himself - currently on his journey to completing #50BooksAYear, #5AmClub and #30DSlowCarb challenge. 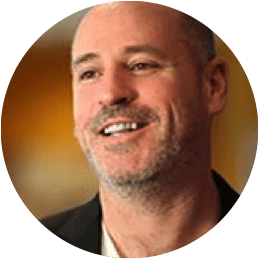 David Fallarme leads regional marketing for HubSpot, a software platform that helps businesses grow their traffic, leads and sales. David has successfully grown products across several industries. During his time with Electronic Arts, he led customer acquisition for several video games with millions of users. As the head of marketing for a B2B SaaS startup, he oversaw growth as the company went from thousands to multi 7-figures in annual revenue. Sohan is an Alexa Evangelist at Amazon. His role involves inspiring and helping people build incredible voice experiences using Alexa. He was a part of the Alexa launch in India which has seen the launch of 15,000 skills in a short span of time. 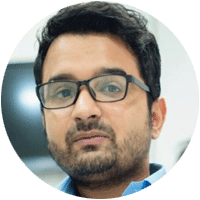 Sohan has earlier worked as a developer evangelist for Gupshup and InMobi and has spoken at conferences around the world. In his spare time, you will find him either consuming pop culture or tossing a frisbee around. Xingyi currently leads Canva's growth strategy across all international markets, where he helps the business to grow in a scalable and exponential manner. Prior to this, he spent more than 5 years building multiple profitable and award-winning online businesses. 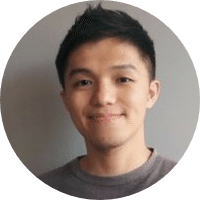 Khai Yong is a pharmacist-turned-digital marketer who is currently the Head of Growth at Keyword Tool. Founded in 2014, Keyword Tool became one of the world’s most popular tools for digital marketing and keyword research. Today it is used by millions of marketers, entrepreneurs, writers, SEO and PPC professionals from 230 countries across the globe. Our clients range from Fortune 500 companies such as Microsoft, Amazon and Sony, to SMEs, freelance entrepreneurs and bloggers. 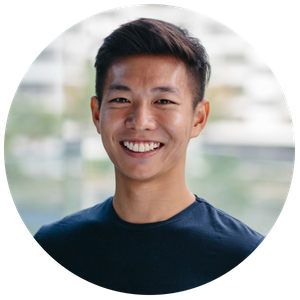 Khai Yong's past professional experiences include heading the marketing division at NEXT Academy, a South East Asia-based Coding and Digital marketing school as well as managing the Facebook advertising division at Mindvalley, a global transformative education company. He has also spoke at digital marketing events hosted by MaGIC Malaysia, 500 Startups and Facebook. 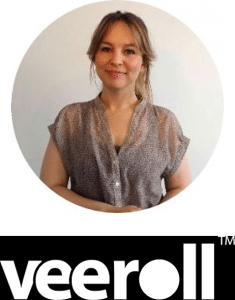 Mellissa is currently the Country Manager of GetResponse Malaysia, an email marketing and marketing automation SaaS platform for small and large businesses. Mellissa is very well versed in utilizing different platforms and tools to strategize, plan and execute high impact, scalable, ROI-driven digital campaigns and communications for audiences throughout Asia Pacific, through her previous experiences as the GM of Marketing for KFIT, Country Manager of KakaoTalk Malaysia, and VP of Operations at Rocket Internet Malaysia. 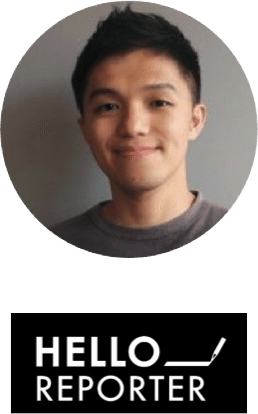 Alfred Lua is a Content Crafter at Buffer, a leading social media management platform and a company known for its radical transparency and remote work culture. 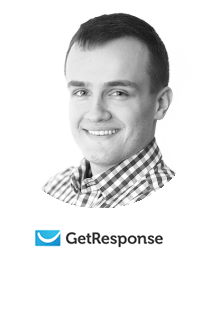 He is currently helping grow Buffer’s user base through inbound marketing. His specialization is content marketing where he has helped the Buffer blog reach over 1.5M monthly visits. In his free time, Alfred likes to do triathlons, read, and spend time with his family. 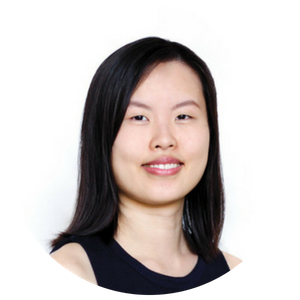 Formerly an equity research analyst and an aspiring actress, Yuh Wen has worked through multiple tech based startups in Singapore. These startups in its various stages have gone on to become some of the most successful startups in Asia today. Her involvement in startups started early in 2011, when she was a business analyst at Cradle Fund, an agency under the Ministry of Finance that offers grants to tech startups in Malaysia for conceptualisation and commercialisation. 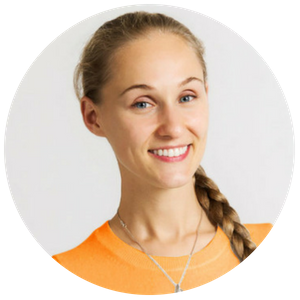 In October 2015, she made the decision to startup on her own based on a problem she wanted to solve for herself. The result of which is SushiVid, a platform that helps brands to find, hire and work with social media influencers for marketing campaigns at scale. The business have since helped thousands of influencers to obtain sponsorships from brands from all over Southeast Asia. Singapore Bot Pioneer, Abhilash Murthy has slapped a smile on tens of thousands of Singaporean commuters with his unique Bus Uncle bot. As a creative and a software engineer, he has added a uniquely personal experience to the impersonal and often frustrating Singaporean commute. 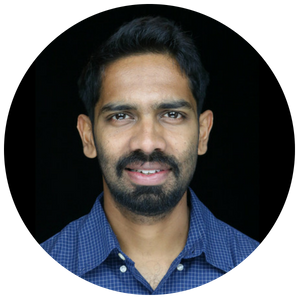 Acquiring over 50,000 users, 16 million messages, and more than 370 5-star reviews of out 400, Abhilash has iteratively learned and crafted how great conversations work. 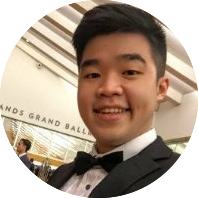 His team is now building a SaaS platform that will allow any business in the world to create and maintain a great chatbot like Bus Uncle. 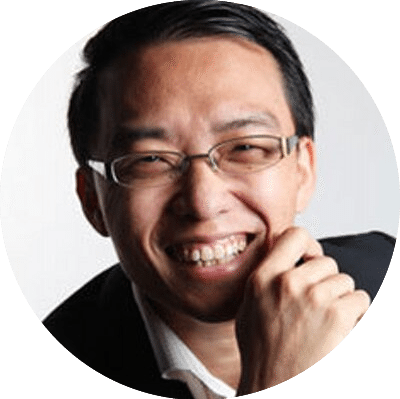 Darian Goh is a senior strategy planner for RevAsia, part of Media Prima, the largest media group in Malaysia. 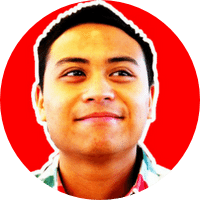 In his 4 years with RevAsia, he has grown brands such as SAYS, OhBulan, and Rojaklah into top social sites in Malaysia. On the other hand, Darian has also strategised for brands like AirAsia, Nestlé, AIA, and Petronas to reach millennials by leveraging on RevAsia through sponsored content. He has expertise in brand ideation, strategy and most importantly, knowing what the online world consumes and share. 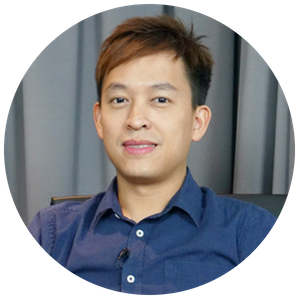 Gerald has been in the media industry for 13 years, being involved in multiple startups before making his way to InvolveAsia where he grew the affiliate network to be Southeast Asia's largest. 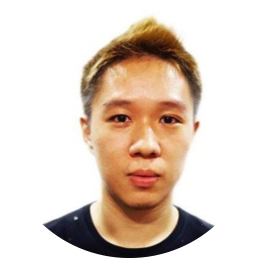 At current, he is the Chief Marketing Officer at InvolveAsia and he manages the user and customer experience of both advertisers and publishers. 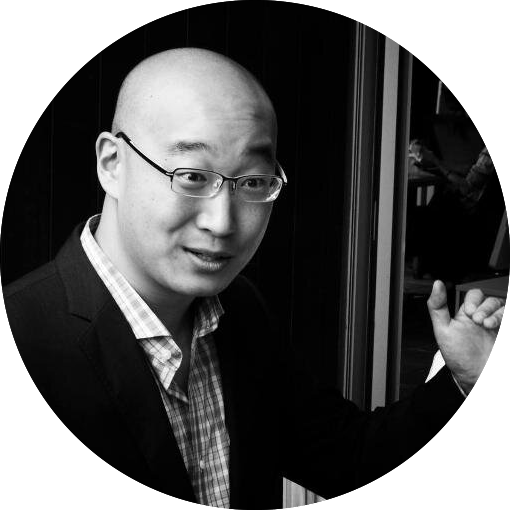 Korey Lee joined the South China Morning Post in March, 2017 to spearhead the data operations of the 114-year-old news organization. 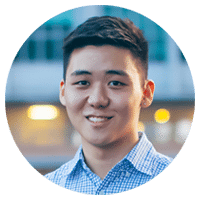 Before joining the SCMP, Korey was Vice President of Analytics at KeyMe, a New York-based hardware startup that leverages computer vision technology and machine learning to provide an automated and seamless key duplication experience for customers across the US. 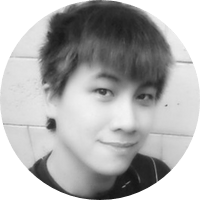 Previously, he was co-founder and CIO of SumAll, a connected data platform for over 500,000 businesses worldwide. 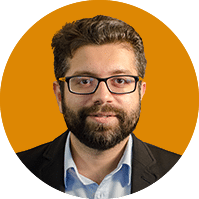 Prior to this, he led the business intelligence and analytics teams at AppNexus and Squarespace. Korey has also worked in various capacities at Google, including revenue strategy, sales finance, payment operations, and business analytics. He was previously with PriceWaterhouseCoopers in venture capital tax and audit. Korey holds a B.A. degree in Business Administration, and a B.S. degree in Economics from University of California Berkeley. 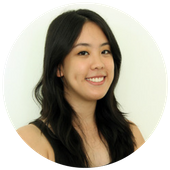 Ashley has over 12 years of experience in digital marketing and Chinese social media, and she has worked with more than 130 brands and organisations from 30 countries in the past 7 years, helping perfect their digital strategies in China and the West. 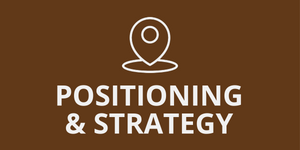 Ashley has conducted talks for both B2B and B2C brands and organisations, such as Cyberport, Richemont Group, Star Cruises, Sa Sa, Government of Kazakstan and many more! 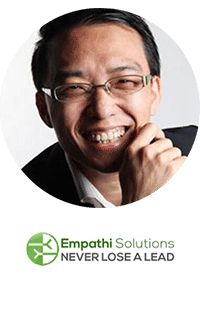 Meet Josh Kong, Head of Insights at Ematic Solutions. 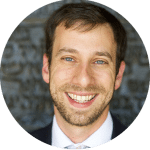 With a background in Accounting & Finance, Josh got his start at Ernst & Young before starting branching out to several different industries. 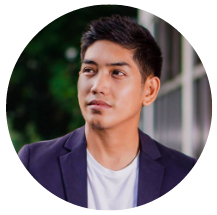 He has gone from building a business to joining Lazada and creating a global third party distribution channel before delving into the project management and the digital marketing industry in his current role at Ematic Solutions, a marketing intelligence company powered by A.I. 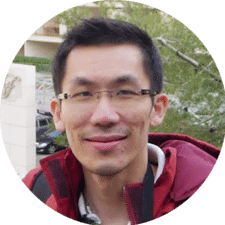 Si Quan (SQ for short) is part of the Customer Success / Marketing team at Ahrefs, a leading SEO toolsuite that helps you to grow your search traffic, research your competitors and monitor your niche. He is also currently curating a monthly newsletter where he shares his book recommendations, as well as summaries to help busy people read more. In his free time, Si Quan reads and breakdances. 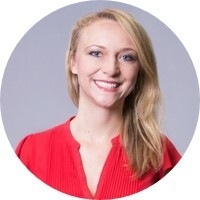 Eileen is the co-founder and Head of People Operations at Content.co, which connects businesses to a global network of top marketing and content specialists on demand. Content.co's talent network is carefully screened for their specialist skill sets, domain expertise and soft skills with a focus on matching clients to the most qualified talents, with the right skills at their preferred budget. Content.co delivers scalable knowledge and talent solutions to its clients across diverse fields, including marketing, content, digital transformation and communications, among others. Working with Fortune 500 businesses, government agencies and fast growth companies worldwide, Content.co has delivered solutions for global clients such as Unilever, Abbott and Grab on its most transformational initiatives. The company has been featured in Forbes and Marketing Magazine and was shortlisted in 2017 for the Disruptor of the Year award by Mumbrella. 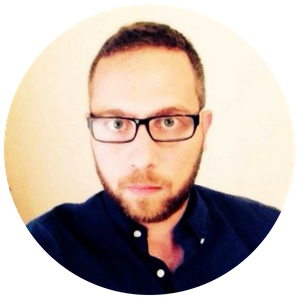 Sotirios is a Digital Strategist and founder of xyzLab, a boutique digital transformation firm. He with a solid track record across all core digital specialties: PPC, SEO, Media Planning, Digital Analytics and E-Commerce. 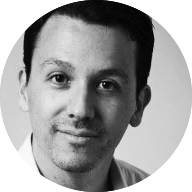 He worked for 3 of the world’s leading media agencies: HAVAS, MediaCom and PHD and a number of successful startups in 3 of the world’s major regional hubs: London, Dubai and Singapore. Along the way he managed countless digital campaigns and built 2 digital performance departments from the ground-up, working with a diverse portfolio of local and multi-national companies – including some of the world’s biggest advertisers: Unilever, Volkswagen and Etihad Airways. Moreover, he is a huge start-up enthusiast, helping promising startups to rise off the ground. 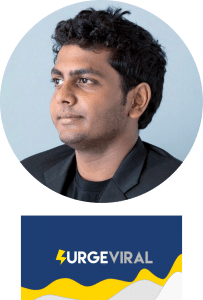 Peiru is the CEO of KeyReply. 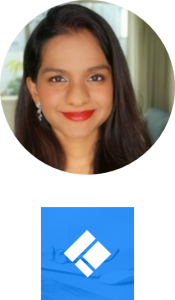 She leads projects for a wide range of enterprise level chat automation projects with clients like the Government, as well as e-commerce, logistics, multinational financial services and healthcare companies. Her family has been in the software development industry for more than thirty years. This has strongly influenced Peiru’s interest in technology and its applications in fundamentally improving how things work. Peiru started her career as a management associate with Citi, and subsequently joined a private equity firm as an investment associate, managing investments over S$4 billion. 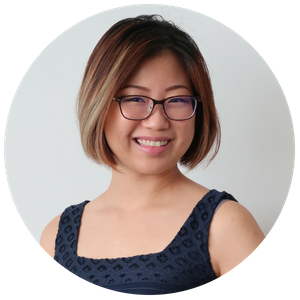 As a seasoned entrepreneur, she has been featured in The Straits Times, Lianhe Zaobao, radio and media like Channel News Asia for entrepreneurship and utilizing technology to automate and transform businesses. She is a valedictorian with a BEng from Nanyang Technological University. 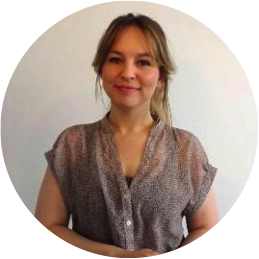 Eleanor is the Chief Growth Officer at Talenta Group, a blockchain & ICO consulting firm. She is also Co-Founder of Symphony, a next-generation blockchain platform to empower a data-driven economy. 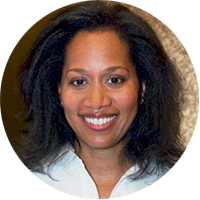 Previously, Eleanor served as Director of Digital Leadership for The Coca-Cola Company, supporting the company’s digital transformation. Previously, she held a variety of roles at Coca-Cola in Strategy & Planning and Customer leadership, both across Asia Pacific and ASEAN. Eleanor holds an MBA from Emory University and a BA from University of North Carolina at Chapel Hill. Feida Zhu serves as Chief Scientist for Talenta Group & Co-Founder of Symphony, a next-generation blockchain platform to empower a data-driven economy. He is a tenured associate professor at Singapore Management University. 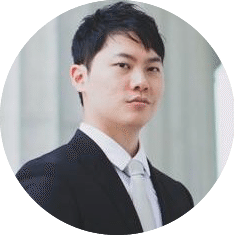 He is a global expert in data mining, AI & block chain. 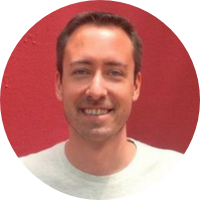 He specialises in helping industry giants leverage big data & AI for a wide range of business applications. He has published 100+ papers, with multiple Best Paper Awards. He founded the Pinnacle Lab for Analytics, a multimillion-dollar collaboration with China Ping An Insurance Group, & DBS-SMU Life Analytics Lab with DBS Bank Singapore. 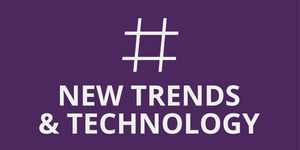 ThoughtBuzzSummary: Data and analytics has all been the buzzword for the last couple of years. Analytics was supposed to help businesses of all sizes know more about their customers and drive sales and lower costs. However the message has been lost in between. Not every organization has been able to take advantage of analytics in the manner they would want to. My presentation would provide practical tips for doing analytics on a budget and drive results. How To Create An Effective Influencer Marketing Campaign? 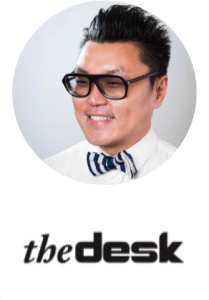 An accomplished marketing leader, Gap Kim has over 15 years of experience in the tech and Internet industry, including leadership positions in Marketing, Sales, Business Strategy, and Management. His career spans across the globe from Silicon Valley to Asia, government to the private sector, and early stage start-ups to large organizations. 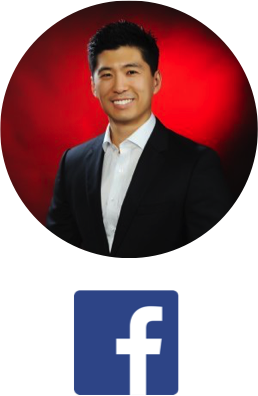 Gap joined Facebook in 2015 to develop and lead Facebook's marketing strategy for small and medium-sized businesses across the Asia Pacific region. Prior to Facebook, Gap spent over 10 years at Google driving business growth across Google's ads platforms including search, video, and mobile. Gap is a respected thought-leader and a well-regarded speaker at universities and industry events on the topics of digital innovation, marketing, and tech. 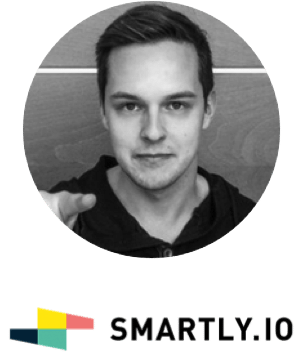 Head of Asia Pacific at Smartly.io. Online marketing expert who has helped advertisers such as Lazada, Foodpanda and Skyscanner scale up online advertising efficiently through adopting latest technologies and best practices. Jose is a big believer in continuous learning and improvement, keeping things interesting. 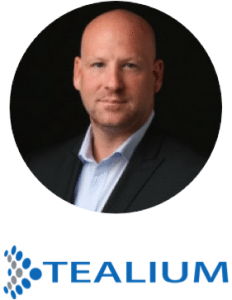 Andy Clark is the General Manager, Asia Pacific Japan at Tealium. He is a digital technology veteran, with nearly 20 years of building and leading teams in Asia Pacific for dynamic, growth-oriented technology companies. 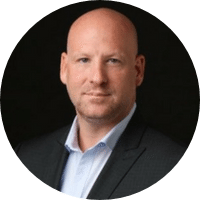 Prior to Tealium, Andy served as Group Vice President, Asia Pacific for Limelight Networks, providing cost-effective, multi-channel digital content delivery platform technology. He has also held senior positions at Crossbeam Systems and RightNow technologies in Japan, as well as led the integration software efforts for IBM in the region. 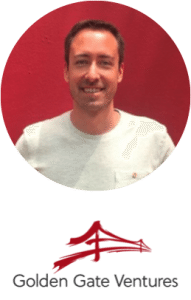 Tim has been involved in internet marketing and SEO for over 8 years now. During that time he had a chance to work with many established companies, as well as launch quite a few niche projects of his own. 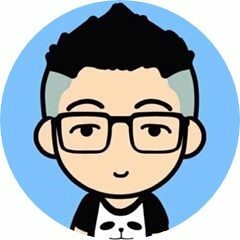 Right now he is in charge of marketing and product strategy at Ahrefs.com - one of the leading providers of data for SEOs and marketing professionals alike. 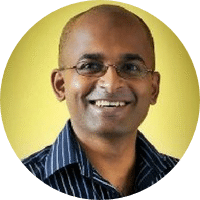 Leroy leads Data & Measurement Platforms, for Google across South East Asia and India. Leroy is an experienced leader in analytics. 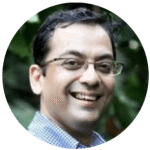 He has driven analytics and optimisation practices at companies such as Accenture, IBM and Google. 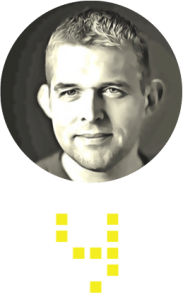 Currently he is responsible for working with Google's top advertisers and publishers across the region. He advocates digital analytics and data-driven best practices. 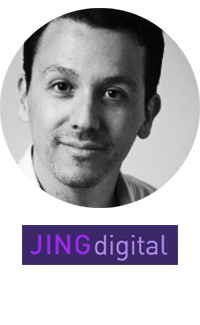 Justin is responsible for driving marketing for HubSpot in South East Asia & India, where he helps corporates and businesses to supercharge their growth through digital transformation and inbound marketing strategies. 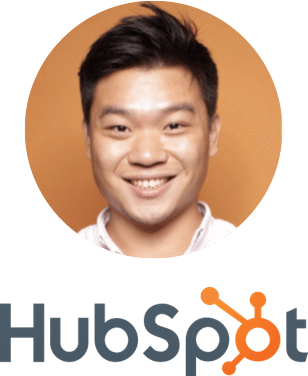 Prior to HubSpot, Justin was the Head of Growth and Marketing at a startup, where he utilized best in class digital marketing strategies to trigger scaleable growth. 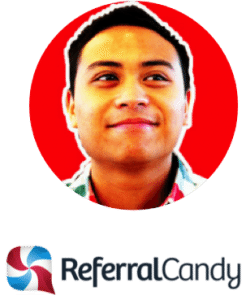 David Fallarme is the Director of Marketing at ReferralCandy, a B2B ecommerce software product, where he handles all B2B SaaS customer acquisition. 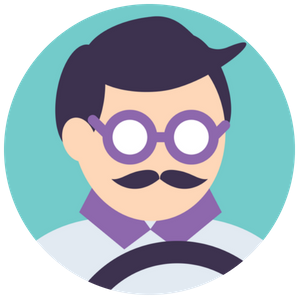 Here he fleshed out customer personas, helping to sharpen everything from content marketing strategy to pricing page copy, resulting in permanent step-change increases in visitors, conversions and leads. He has also done marketing for several venture-backed startups and has led user growth for a handful of products with millions of users. 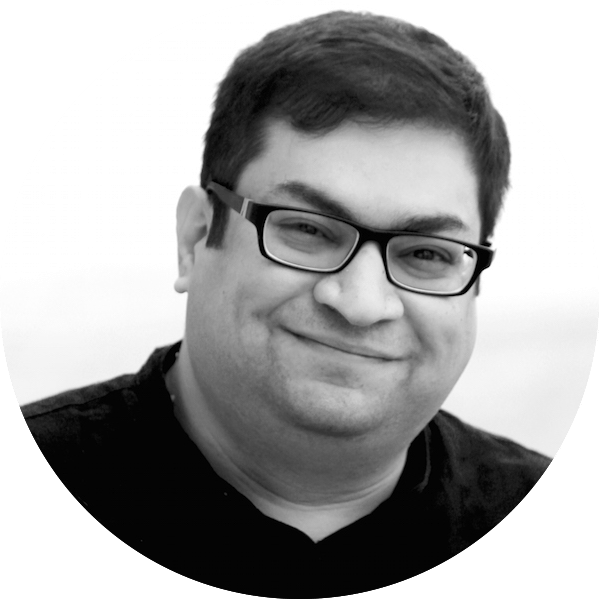 Pankaj is a digital evangelist, Programmatic expert and a thought leader in APAC. He is a high performing entrepreneurial executive with over 16 years of experience in Internet/Telecom/IT domain. Pankaj has held various leadership positions at Google, Nokia & Airtel. He has expertise in building businesses from scratch to large multi million dollar business and scaling them further. Pankaj currently works in Singapore with Google as Head of Media Technology Solutions for SEA, India & Korea. Prior to that he was the APAC Head, Google Cloud Platform Partnerships, and had also led the Location Platform business (Google Maps & Google Earth) for Asia. 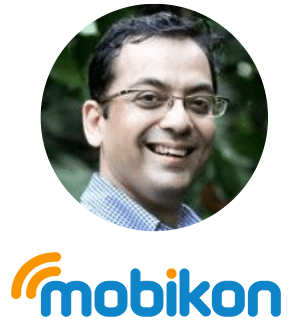 Before joining Google, Pankaj was the APAC Product Lead for 'Here Maps' at Nokia, and had held various leadership positions at Bharti Airtel including Deputy GM (New Product Development) for 3 verticals: Social Media, M2M communications & Location Based Services; NationalHead - Sales & Distribution; and Regional Head of Sales - BFSI Vertical. 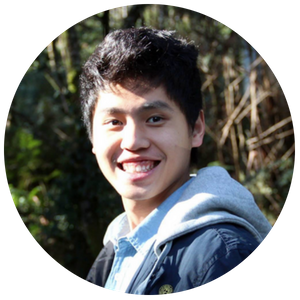 Wei Leen is the Chief SEO Consultant at Lean Metrics. He first dipped his toes in entrepreneurship fresh out of college. He hasn't looked back since then, having worked in multiple early stage Internet startups in Singapore (Moneysmart, 2359 Media), Shanghai (SouthBund) and Berlin (9flats). His experience lies in customer acquisition and growth hacking. Accomplishments include establishing the Asian operations of 9flats in Singapore, as well as serving as Business Development Director at 2359 Media, closing $300,000 of projects in their first quarter after receiving institutional investment. 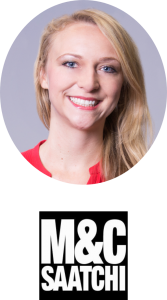 Meredith is a digital marketing strategist and social media specialist. 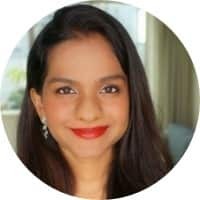 She is currently the Head of Social Media at M&C Saatchi in Malaysia, recently named Digital Agency of the Year by A&M, and the previous Group Head of Social Media at Lion & Lion, Malaysia’s largest digital agency. 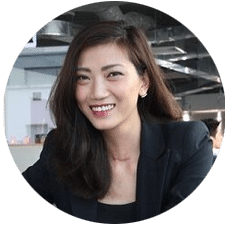 She has helped launch teams in Hong Kong, Indonesia, and Singapore, and has worked with clients such as Google, L’Oreal Group, Coca-Cola, IKEA, and Nestle. 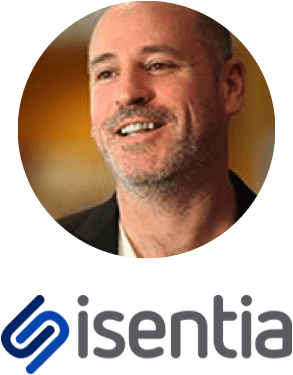 Richard is the Chief Marketing Officer at Isentia and is responsible for the development of the brand, the positioning of the business units and connecting the business to the clients that Isentia serves. Richard has developed a range of competencies within strategic marketing, brand development and brand management, visual identity creation and management, digital and social media marketing and a wide range of commercial competencies including acquisition and acquisition integration. 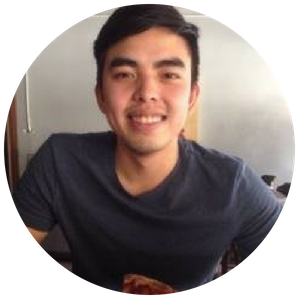 Christopher Star is an entrepreneur, speaker, growth hacker & marketing consultant for tech startups in Southeast Asia & beyond. He has an extensive experience in user acquisition, strategic partnerships, brand building, community management, content creation, influencer marketing, audience retention, public relations, and event activations tailored for regional markets across Southeast Asia. 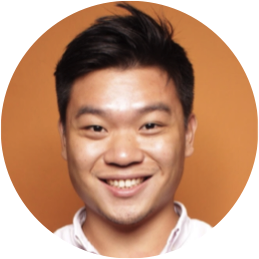 He was the former VP of Regional Digital Marketing at Paktor, former Head of Marketing at Duriana, former Director of Growth & Marketing at GuavaPass, former Group Online Marketing at HappyFresh and former VP of Marketing at DateTix. I’ve also worked with other startups such as Lazada, a Rocket Internet company. Vinny’s expertise lies in measurement, data analysis and insights that deliver results. His philosophy is: measure, test changes for impact and iterate. 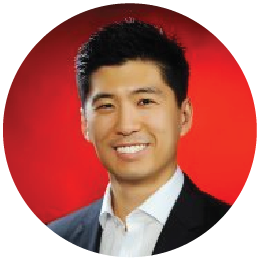 Prior to founding Sparkline, Vinny was at Google for five years in Australia, New Zealand and Southeast Asia. There he provided strategic counsel to advertisers, agencies and partners on free tools such as Google Analytics and Google’s Website Optimizer to increase website traffic and revenue, all without spending a single cent. 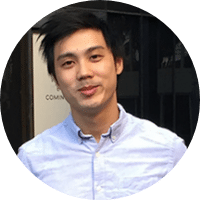 Before Google, Vinny cut his teeth at startups in Australia as a web applications developer. Reuben is a digital marketer with over 8 years of industry experience. Currently, as part of the MobileAds' team, he is in charge of partnerships and business development. Reuben has interdisciplinary expertise in digital advertising & marketing, working with small & large industries, growing their success. 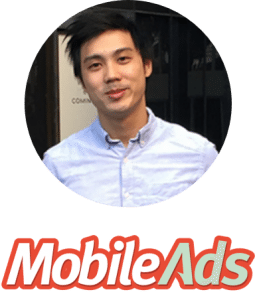 At Mobile Ads, he works with major clients such as Unilever, KFC, BMW, Disney & more. 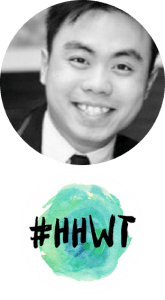 Melvin is the CEO of Have Halal, Will Travel (HHWT), the leading travel and lifestyle platform for Muslim travellers with a reach of 8.6 million Muslims monthly across Singapore, Malaysia & Indonesia. We enable Muslims to enjoy immersive travel experiences overseas and we help brands like Nestle, Klook & AirAsia craft compelling stories to better engage with these travellers. John Pagulayan is an EPIC email marketer! He writes emails for companies across the world, and has had emails with open rates of 80%! 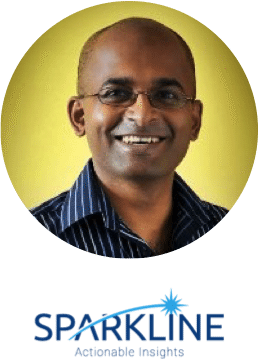 Glenn works as Senior Manager - Global Advertising Operations and he leads LinkedIn Marketing Solutions global shared services team based out of India as well as their APAC Technical Solutions team. He comes from a consulting background, combined with an INSEAD MBA and strategy & business development roles at 3M Asia, has equipped him well to tackle ambiguity, understand patterns and visualize what a future state looks like. 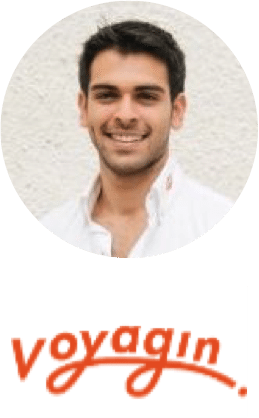 Rohit Mulani is a growth marketer at Voyagin, with an entrepreneurial streak, passionate about creation, change and disruption. He is excited about solving problems, helping companies grow and driving impact at scale. 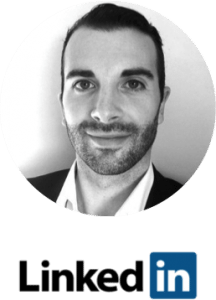 He has worked with multiple venture backed companies across a variety of industries including Fintech, Travel & Logistics. His area of focus thus far has been growth & more specifically performance marketing in the form of paid search & social. Oscar is the Co-founder of theDesk, a co-working space in Hong Kong where he focuses on business transformation. 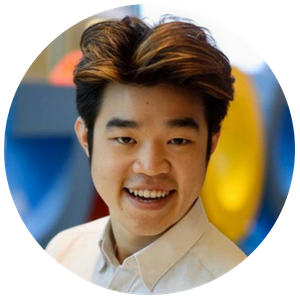 Additionally, he instructs Digital Marketing for Google and General Assembly, and advise companies in Asia how to grow their business by concentrating on user experience. Clients he has worked with are Nike, Star Wars, Uber, Prudential, and UBS. With almost 10 years of experience in embracing digital marketing, Evangeline is the Founder & CEO of Kobe Global Technologies – a fast growing social media technology company in Singapore. 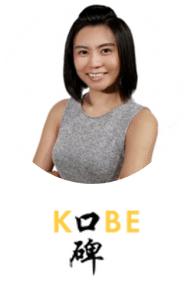 Kobe is a pending patent AI-driven advertising platform that pairs advertisers with relevant everyday influencers, leveraging on their ability to broadcast messages to millions of users so that businesses can get represented in front of their target audience in a credible manner. 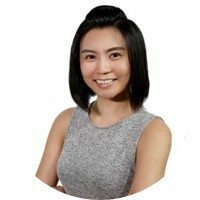 Having managed 60-man regional company across Southeast Asia and USD10M ad revenue, she has experience in building high performance teams across all kinds of online advertising products including PPC advertising, SEM, SEO, Display, Remarketing on platforms such as Google, Yahoo, Baidu, YouTube, Facebook and LinkedIn. Boye Hartmann is the former CEO at Ydigital (now a board member). He is now Group CEO for Ygroup which, in addition to Ydigital includes Yacademy and bDigital. He has had senior positions across the world and also serves as an advisor to many tech startups. 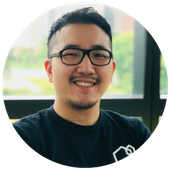 Tim Chan is founder of HelloReporter & HelloPR, a PR startup to reinvent traditional PR process by Technology and make PR affordable to Startups & SMEs. He is AppWorks (Asia's largest accelerator) alumni and also incubatee of Cyberport & Google EYE. His previous venture received seed investment from Telerik, a Silicon Valley investor. 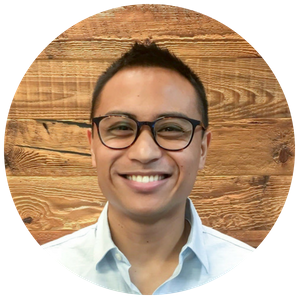 Kenrick is the Head of Growth at Golden Gate Ventures, and is very passionate about all things digital marketing, startups, growth and tech! 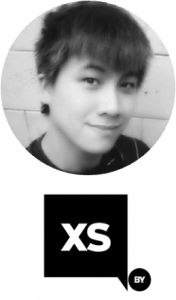 He managed multi-million dollar ad spends across e-commerce, travel and mobile gaming with over 10 years experience in South East Asia. Expertise in digital and performance marketing, team leadership and partner management. 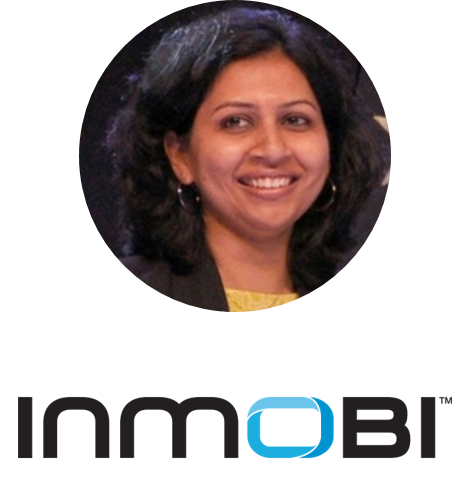 Vasuta Agarwal is the VP & GM - India at InMobi. In this role, Vasuta is responsible for the strategic roadmap and revenue for InMobi's India business including developer, brand and commerce partnerships. 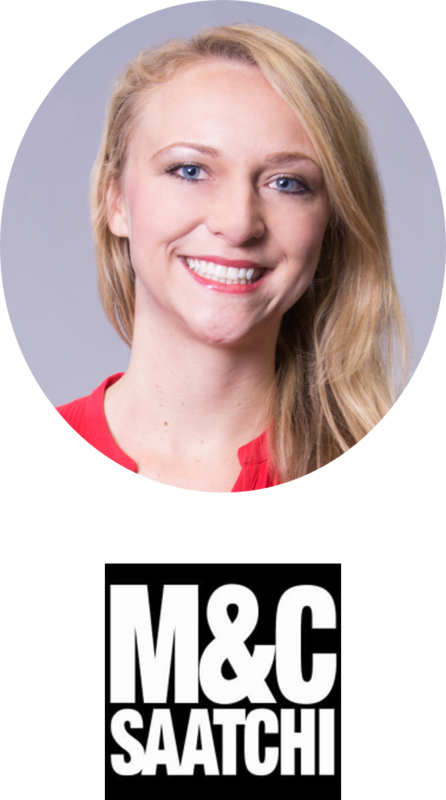 In her previous role as VP for Business Development, she managed the global partner management team responsible for account management and revenue growth of all key publisher/supply side relationships across North America, LATAM, Europe and Asia Pacific. 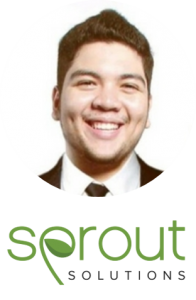 Nix is Head of Marketing for Sprout Solutions, one of the fastest growing tech startups in the Philippines. He also consulting for startups and brands in the country and speaks in various conferences, including the upcoming FinLit Summit and Content 360. He also teaches digital marketing. 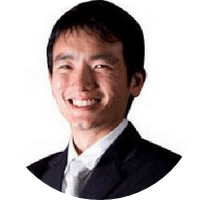 Rio Lim is one of Singapore's most successful affiliate marketers. His claim to fame came about in 2014 when he shared his success story in STM forum. One where he successfully transited from a professional poker player to becoming an affiliate marketer making thousands of dollars a day within a short span of just a few months. His story also won him the STM success story of the year 2014. Since then, Rio has continued his forage into the internet marketing sphere, helping his networks and advertisers generate millions of dollars worth of mobile apps installs, consumer leads and product sales. He now spends most of his time building his affiliate marketing and ecommerce business and occasionally accepts speaking requests for fun. A passionate Marketing Entrepreneur, Bhanuka specializes in Growth and Inbound Marketing. He is the CEO of SurgeViral, a digital agency that works with startups and Fortune 500 companies around the world. Helping them grow and scale through Social, Search, and everything in between. Figuring out how business can leverage the internet and reach more people through digital storytelling is at the core of SurgeViral. 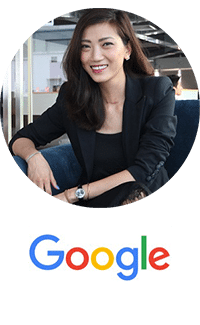 Anh Nguyen is the Country Head of Marketing (Vietnam) of Google, responsible of overseeing and managing Google’s marketing efforts across all products and brand campaigns. 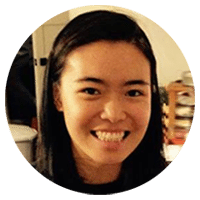 Before her position at Google, Anh has over seven years of experience in working across e-commerce, fashion, branding, media, and consumer insights. Anh began her career in communications design and fashion publishing, working for magazines such as ELLE Vietnam and V Magazine in New York. 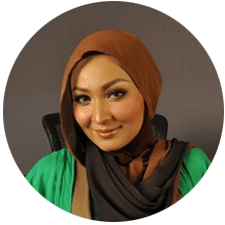 She discovered a love of technology and marketing when working at Zalora, where she was responsible for driving customer acquisition, business development, and marketing initiatives. 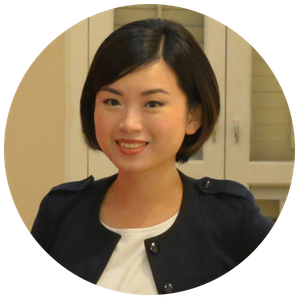 She holds a Bachelor of Arts from the University of Applied Science in Berlin, is an active member of Global Shapers Ho Chi Minh City, and is a mentor in various youth and start-up development programs in Vietnam. 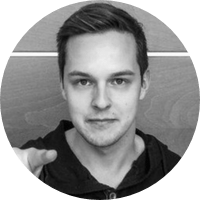 Michal Leszczynski As the Content Marketing Manager, Michal is responsible for co-ordinating content marketing projects for GetResponse. 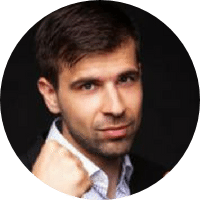 His main mission is to provide valuable and educational content for marketers - those just starting out as well as already rocking in the online world. You can follow Michal on Twitter at @mrleszczynski. Brendan is a Marketing Automation specialist, and founder of Empathi Solutions Pte Ltd. With more than 15 years practical experience in sales and marketing, CRM and software development, their team marries technology, marketing and business objectives to help SMEs Get Organized, Grow Sales and Save Time. 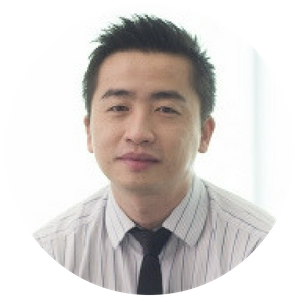 Edric is the SMB Marketing Lead for APAC who single-handedly manages 7 SMB markets. Having been an entrepreneur himself, he is passionate in helping businesses grow on Twitter. 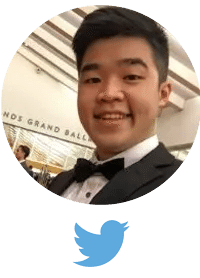 Be it in increasing brand awareness, driving purchases or downloads, Edric will be right person to set you up for success on Twitter. 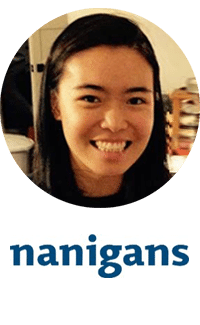 Jacinda Siew is currently working at Nanigans - a Facebook, Instagram and Twitter Partner - providing large direct-response advertisers a solution to scale their programmatic advertising on social, display and RTB channels. Nanigans APAC works with clients in Southeast Asia, India, China, Korea, and Japan, providing Jacinda with a good overview of the Asia eco-system for direct-response advertising. 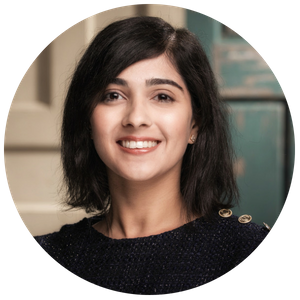 She has experience working in Silicon Valley at a men's e-commerce startup as a performance marketer prior to Nanigans, and Asian advertisers have leveraged on her expertise to cater to the Western audience as they scale beyond Asia. 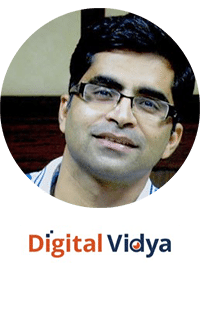 Pradeep is the CEO and Co-founder of Digital Vidya, a Digital Marketing learning place originating in India and now going global. 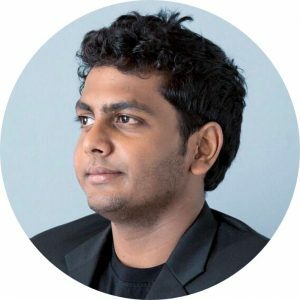 Prior to Digital Vidya, Pradeep has had experience in engineering roles in companies like TATA Consultancy Services before he moved on to be the co-founder of OMLogic consulting, India’s leading online marketing company and Whizlabs, a world leader in Sun Java Certification and PMP Exam preparation. Pradeep began his journey in Digital Media since 2000 and has since spoken in global conferences such as SES US, ad:tech, World Blogger & Social Media Summit Malaysia, NASSCOM India Leadership Forum. He has also contributed to Wall Street Journal, Entrepreneur & Inc Magazines by sharing my passion for Digital Marketing & Entrepreneurship. 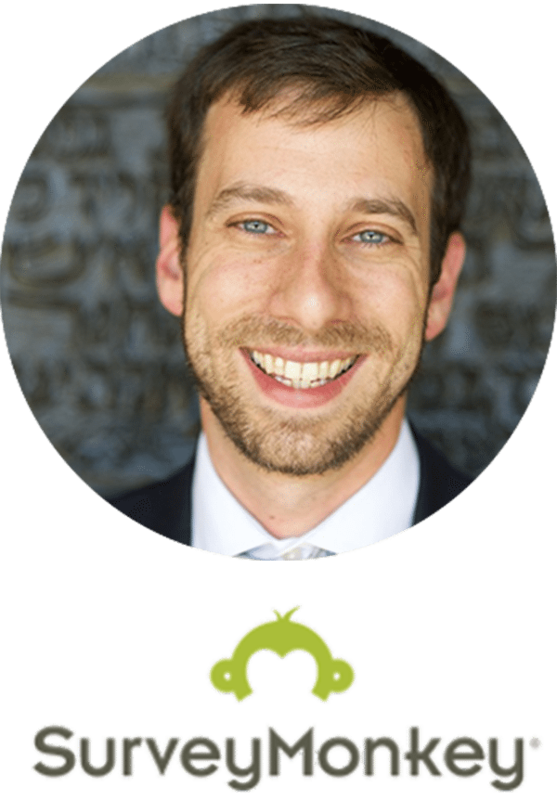 Eli is the Director of Marketing, APAC for SurveyMonkey, the world’s largest online survey platform. He oversees SurveyMonkey’s marketing efforts in the Asia Pacific region. 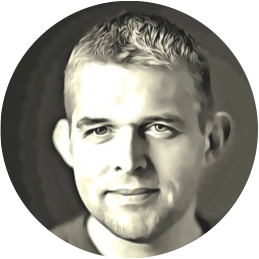 In addition, he leads the company’s global SEO efforts and strategies across 17 languages. SurveyMonkey serves over 25 million customers worldwide, including 99% of the Fortune 500, and collects over 3 million online survey responses daily. 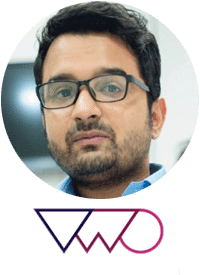 Sushant is a Conversion Optimization enthusiast and heads Channel and Co-marketing Operations at VWO, the flagship product of Wingify Software. 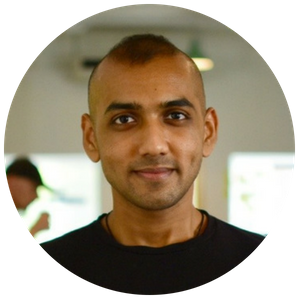 Sushant has previously driven content marketing campaigns for eCommerce and can talk for hours about Google Analytics and Adwords. He works on Content Partnerships and Co-Branding/Marketing between VWO and other similar brands. 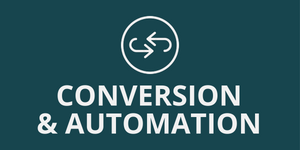 VWO is the world’s easiest optimization platform, armed with easy to use A/B testing capabilities that allow marketing professionals to create different versions of their websites and landing pages using a visual editor and then see which version delivers maximum conversion rate or sales. VWO's aim is to help website owners exponentially increase conversion by optimising visitor actions on their website. Eugene Cheng is Partner and Creative lead at HighSpark , a strategic presentation consultancy serving Fortune 500 clientele. He writes for marketing blogs like KissMetrics, DuctTapeMarketing and his work has been featured on outlets like: e27, VulcanPost, Hubspot, BrianTracy.com. He is also a Keynote Author (top 1% of SlideShare globally). 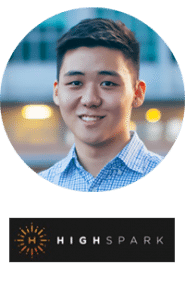 Highspark is a strategic presentation consultancy that helps corporate leaders and TEDx speakers tell their stories in a more powerful way through visual presentations. HighSpark is based in Singapore offering presentation design, consulting and training services to Fortune 500 clientele like Panasonic, Dentsu, Nike. 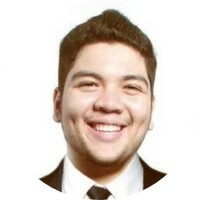 Welly Mulia is the CEO and co-founder of Zaxaa, an all-in-one shopping cart + email CRM software platform for experts, coaches, and entrepreneurs who sells digital products. 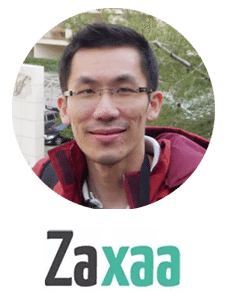 Zaxaa currently processes 7-figure in sales revenue every month from its users. 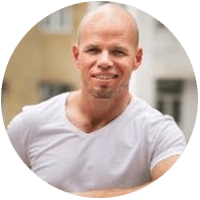 He also writes about digital marketing for small medium business on his blog, DigitalIncomeFunnels.com. As the founder & CEO of Shakr.com, David Lee and his 15-strong team are making great video possible for everyone. 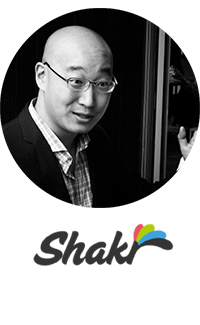 With offices in both Seoul and San Francisco, Shakr has raised over $3M in seed and Series A funding from investors including Silicon Valley-based 500 Startups, Korea's largest internet company, NHN, and the venture capital arm of POSCO. David previously launched Wetoku, powering premium video interview content for Technorati's State of the Blogosphere report from 2008 through 2010. His first exposure to entrepreneurship was in 1994, when he co-founded Avenir Internet Solutions. Avenir was an online platform that facilitated the e-barter exchange of excess inventory between large corporations such as GE and Siemens. In 1998, NASDAQ-listed ITEX Corporation acquired a majority stake in Avenir. Suria Sparks helps aspiring entrepreneurs get known & get clients via branding & marketing with Facebook (without Ads). She is voted Top 1% Most Influential People Online by FAST Company Magazine. Besides being a Facebook Marketing leader, Suria is also a multi potentialite, celebrity nutritionist, best selling author, international inspirational speaker, positive parenting advocate, and a life and business coach. 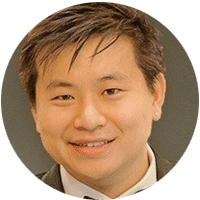 Kenneth Yu is an author, keynote speaker, trainer, consultant, and serial entrepreneur. Regarded as the Digital Renaissance Man, he’s renowned for creating lucrative web marketing campaigns for a whole range of multi-billion dollar industries. 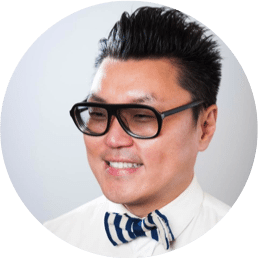 He’s the founder and CEO of SpurPress, a full-service international end-to-end boutique digital marketing agency and consultancy with offices in 4 different countries, delighting clients like McDonald’s, Fujitsu, OCBC, Groupon, Maxis, and Digi. 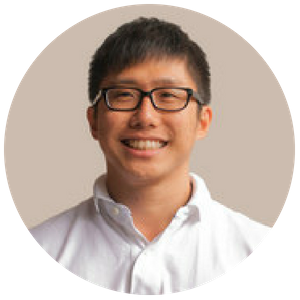 Kenneth’s mantra is “Applying psychology to applied technology”, a rally cry that displays his passion for combining old school persuasion with cutting edge technology. This unique approach has made him a popular speaker in in prestigious conferences like the Prime Minister’s Department’s Tech Talk 2015, iProperty Expo, Malaysia Media Congress, and BFM Breakaway, as well as numerous ones internationally. Anuj specialises in driving business growth & scaling ventures across Asian markets and has worked in 14 countries from 'Japan to Jakarta' creating new market inroads. After moving to Singapore in 2002, Anuj spent his time scaling businesses for clients like Visa International and with an almost decade long stint in BIC. 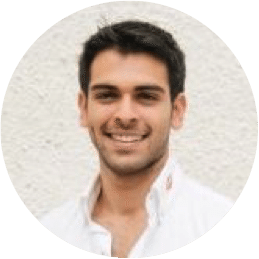 Channeling his experience in a startup that went south, Anuj has since empowered over 120+ startups in Singapore though a series of structured weekend bootcamps with LITHAN Academy, as well as mentored students at JFDI, SMU and INSEAD. 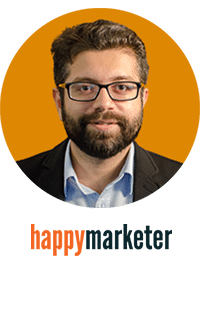 Sanchit is a Partner at Happy Marketer, an award-winning digital marketing agency headquartered in Singapore. 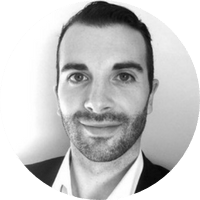 For over 10 years, he has utilised his experience in digital analytics and technologies to help leading organisations drive digital excellence. He has advised and trained more than 2​00 ​organisations ​from over 7 countries. Sanchit also ​oversees digital​​ strateg​y and analytics (Google Analytics Premium) for​ ​ brands including Standard Chartered, The Coffee Bean & Tea Leaf, National University of Singapore School of Computing, Royal Brunei Airlines, and Tigerair, among others. 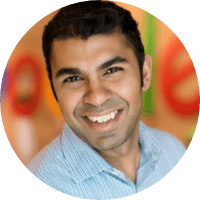 He is a certified Google Partner Academy Trainer and a certified Google AdWords and Analytics professional. Aaron is CEO and founder of JINGdigital, which builds technology that helps leading brands create personal connection with their customers on WeChat. His career began in advertising in New York with McCann Erickson, where he worked in direct marketing before finding his true calling in the web during the dot com boom in Seattle. 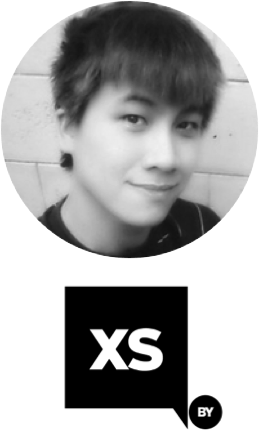 Aaron moved to Shanghai in 2006, founding ACHANG webdev, a web development agency, in 2008 and has worked with many brands and startups. In 2013 he launched JINGdigital to focus on the unique challenges of marketing in China and developed JINGsocial, a leading WeChat marketing automation and analytics platform. 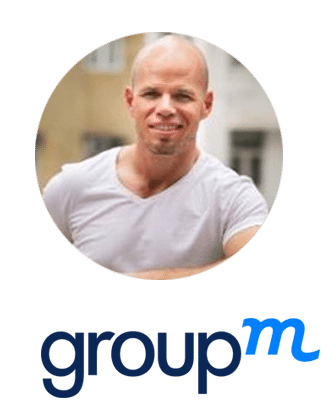 Josh is the CEO for GroupM’s Content division across the APAC region. He also oversees the Group’s Content Investment (GroupM Entertainment) and Rights Representation businesses (ESP Properties), both of which have been formed in the last 3-4 years in growing response to the Group’s interest in getting better access to premium content and inventory to benefit client and audience needs. Before joining GroupM Josh spent 10 years working at PepsiCo International in various regional Brand Marketing roles and has lived and worked in Bangkok, Singapore, Sydney, Manila and Hong Kong. 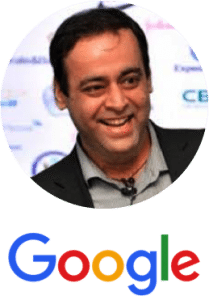 Aashish Chopra is an award winning viral video marketer, having made and marketed videos with millions of shares and gazillion views, with one becoming Asia’s most shared branded Facebook post (Campaign Asia) and other getting 40 million views in a week. He also won the Content Marketer of the year in February 2016. He is passionate about content and believes that in the times of declining attention spans and chaotic news-feeds, creativity is the differentiator. 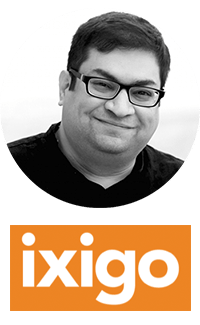 He heads content marketing at ixigo. From ideation to execution he has been instrumental in making video marketing a growth hack for ixigo. From driving app installs, to skyrocketing reach with videos. “In today’s fast evolving digital landscape, social media strategy for any brand revolves around remarkable content. Content must be compelling and share-worthy, period. Every brand today is turning into a media company.” he affirms. 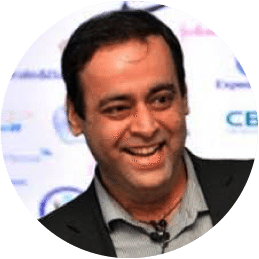 He is a sought after speaker on Viral Marketing in India, speaking at conferences and universities. 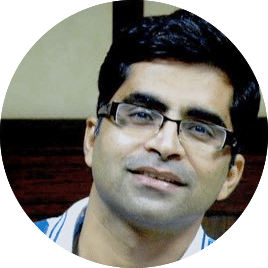 Before diving into video marketing, Aashish was active in visual content marketing, with several Infographics going viral on Slideshare. He lives in Gurgaon, and is dealing with the everyday challenges of having a cat. 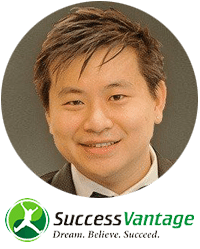 Alvin Huang Alvin Huang started SuccessVantage while still studying in university in 2005, and has since grown it into one of Asia's leading online direct response companies. 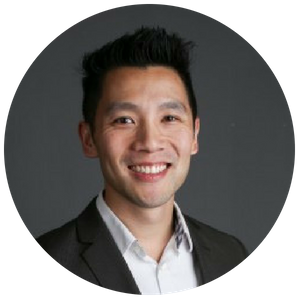 Alvin and his team mainly focuses on lead generation and database marketing in the self help, health and business opportunity industries. And to date have a prospect database of 1.4 million and over 200,000 customers all around the global. 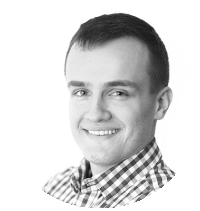 He continues to study and push the envelope in split-testing and increasing conversion metrics to increase their database pool. Which he believes is the core asset for any B2C company. Peter is the chief agent for countless guerrilla marketing campaigns at Bebop Asia. Also, he was the Head of Public Relations at various successful startups like Dropmysite (reverse IPO) and Folr (multi-million dollar acquisition). He specialises in creating meaningful and long-lasting conversations about game-changing businesses that go after grand ideas. 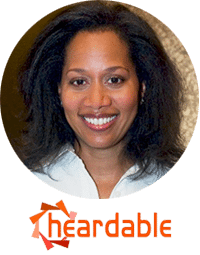 Francine Martindale joined Heardable, Inc in 2013 as its VP, Asia-Pacific, overseeing brand development and growth across APAC. With over 20 years’ experience in media content creation, making ads and content across TV, radio, print and the internet, she co-founded the APAC office in 2014. Heardable is an innovative company focused on making digital brand analytics easy and useful. Its system enables marketers to instantly measure their brand strength across key digital touchpoints, and use the data gathered to perform competitive analysis, strategic planning and real-time reporting. 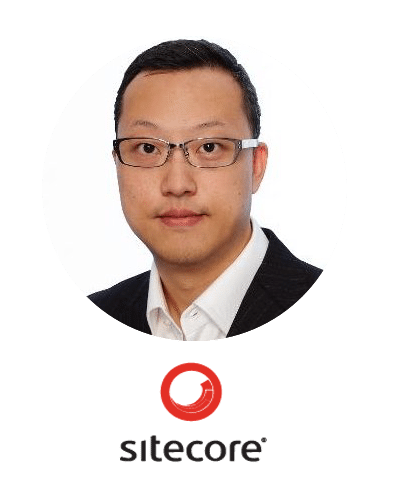 Anthony Chan is the Head of Strategic Products and Experience Consulting with Sitecore for APJ region. In his role, he has a lot of opportunities meeting customers to talk about the digital transformation initiatives including e-Commerce. 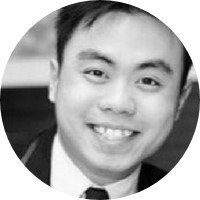 Before Sitecore, Anthony was the Marketing Enablement Director for Consulting Services driving various marketing activities across Asia. 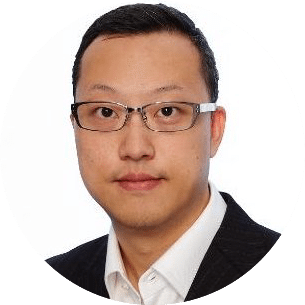 He started his career with Andersen Consulting delivering various turnkey projects for a number of Telco and Media clients in US, UK, Hong Kong and Japan. 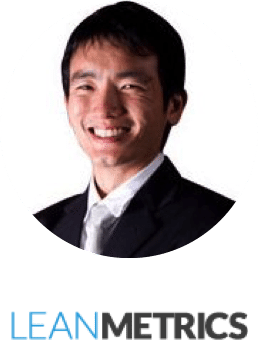 Anthony speaks fluent Cantonese, English, Japanese and Mandarin. 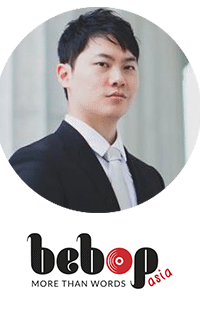 He holds the Bachelor’s Degree in Engineering (Hons) from Chinese University of Hong Kong and has recently completed his executive program in Business Strategy with INSEAD. 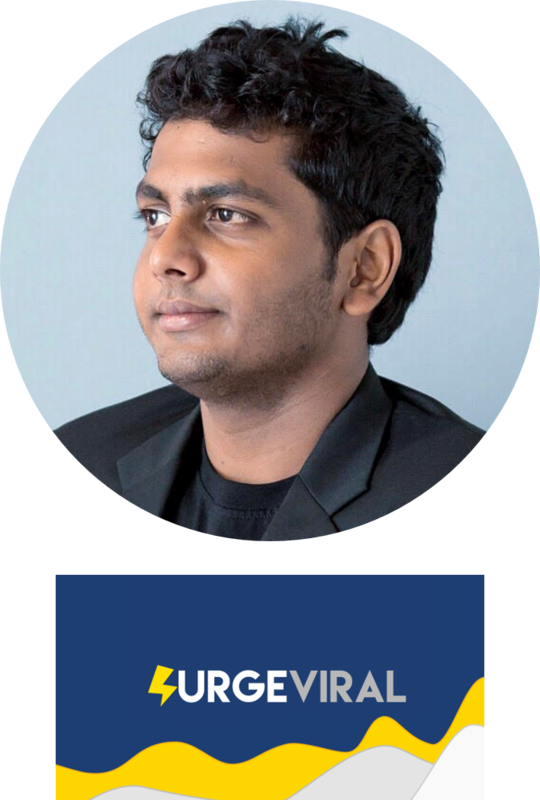 Deepesh is the Head of Retail and e-Commerce for South East Asia where he leads a team that is responsible for helping large organizations drive return on investment and profitability from their marketing strategy. Deepesh graduated from Leicester University in the UK where he studied Chemistry with Business Management. 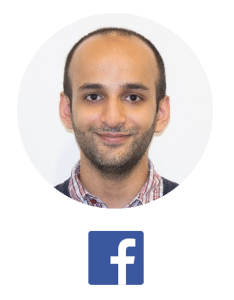 Post graduation Deepesh quickly moved in to sales before moving to work for Facebook back in 2008. Deepesh has been with Facebook for over five years, spending the first three years in the UK office working with some of Europe's largest ecommerce companies. Thanks for organizing the Digital Marketing Summit. I have been blessed with the range of content and speakers, and also been very impressed with the way the entire web-conference format was rolled out, and the way that you connect with and relate to people. You did such a great job!!! Thank you to organisers for organising the Digital Marketing Summit! The curation of content was fantastic, and we were able to cover a wide breadth of topics in a very short time. We'd recommend anyone who wants to learn more about digital marketing to attend this event. Join over 40,000 participants in the journey of learning and sharing. Digital Marketing Summit Asia Mega Encore Edition is a 3-day virtual summit that will see digital marketing experts in Asia share their knowledge and expertise in their respective fields covering over 70 topics. Registering now gives you to a free ticket, which entitles you to watch all sessions at the stated timeslots throughout the 3 days. If you want LIFETIME ACCESS, along with other speaker bonuses, we are also offering a Mega Access Pass. No matter where you are in your Digital Marketing endeavor or business growth, you will find valuable content among our industry experts. If you are just starting out or have little experience in digital marketing, you will get specific advice on possible business models and create your very own sales funnel. 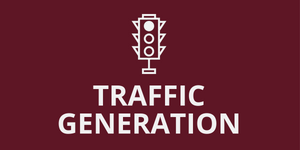 If you have a business but are struggling to build your audience, our experts will share the steps you need to take towards traffic generation and conversion tools to magnify and monetize your efforts, getting the most out of your investments. If your audience is growing but not as fast as you would like, learn how to accelerate your current efforts through strategic marketing positioning via superior copywriting and market research knowledge and further streamline your efforts via the latest marketing automation and analytic techniques. There is truly something for everyone at Digital Marketing Summit Asia Mega Encore Edition, but we often see that those that are the most successful, are willing to do the work. So, come prepared with an open mind, ready to take notes, soak in the wealth of knowledge and apply them relentlessly! Fret not, you will not need to travel as the event is 100% virtual and online! In order to cater to audiences who may not be able to travel due to their busy schedules, we have designed Digital Marketing Summit Asia in such a way as to allow you to consume the knowledge in a way that works for your life, by having the summit 100% online. As long as you have an internet connection, you can attend wherever you are geographically located in the world. Yes, it is! No credit card details needed and no hidden fees. Once you claim your free ticket, you will receive several email reminders in your inbox every day of the event giving you specific links to access all of the keynote and masterclasses that are installed for you. Simply login and follow the easy instructions stipulated. You will also be able to view the live sessions on any computer, tablet or mobile device. Yes, we have taken this into consideration and would like to offer you with an upgrade to the Mega Access Pass to get more than $4000 worth of LIFETIME ACCESS to all the recordings of the masterclasses, panels, and advanced training sessions, as well as exclusive bonus resources and special deals. You'll get the details about it in an email once you sign up for the free pass! Digital Marketing Summit Asia was established in Singapore in 2015, with the mission to help marketers and businesses in Asia be equipped with essential digital marketing knowledge, in a collective effort with leading professionals in the region. Our speakers have wide experience in the digital field in Asia and understand local markets of the region, so the knowledge presented will be as relevant, practical and fresh as possible. With an overwhelming response after the first Summit to expand regionally, we decided to move the event online to allow more people all around Asia to participate in this event. Have questions? Send us an email at hello@dmsummit.asia. Copyright 2015- 2019. Digital Marketing Summit. All Rights Reserved.